BCGBA is delighted to announce that it is forming a partnership with Coach Bowls, the partnership between the Bowls Development Alliance, Bowls England, English Short Mat Bowling Association and The English Indoor Bowling Association. This partnership will lead to improvements in Coaching Ability and Technique for the Sport of Bowls, lead to a nationally recognised qualification and support from Coach Bowls. Qualifications will be awarded, assessed and verified by Coach Bowls / 1st 4 Sport. During 2018 Coach Bowls will transition away from Bowls Development Alliance to come under the domain of the National Governing Bodies by April 2019 supporting the four bowls codes to deliver the Coaching Qualification Scheme. 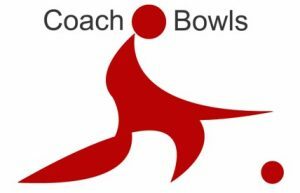 BCGBA existing approved Coaches will be able to Grandfather their awards onto Coach Bowls at Coach Bowls Level 1, providing these coaches become members of Coach Bowls. This will allow them to be recognised as BCGBA Level 1 accredited coaches for the purposes of Insurance. Any awards given after 1st January 2018 will not be recognised. All coaches are advised that the insurance available through Coach Bowls is the recommended insurance that all coaches in bowls should hold. Coach Activator, Level 1 initially. Level 2 and 3 will be developed in due course to ensure it is suitable for the code, for those coaches who wish to progress to a higher level. Activator and Level 1 will have generic bowls content in the main, but assessments will reflect the BCGBA rules. Code specific courses will be arranged in time or attendance at mixed bowls codes courses will also be possible. A range of CPD Modules are available below:.